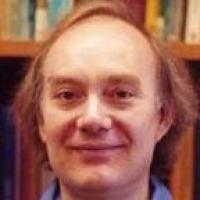 Research Description: Professor Richard G. Palmer is currently working on theories of statistical mechanics. He is interested in the application and development of statistical physics methods for many types of complex systems, including glasses and spin glasses, neural networks, genetic algorithms, and economic markets. The long-term goal of his work is to establish firm theoretical foundations for understanding the emergence of structure, complexity, and computational ability in driven systems of interacting adaptive components. He is also author of two books on the theory of neural networks and on the theory of extinction. Palmer, R, Statistical mechanics approaches to complex optimization problems, in The Economy as an Evolving Complex System: The Proceedings of the Evolutionary Paths of the Global Economy Workshop, Held September, 1987 in Santa Fe, New Mexico (January, 2018), pp. 177-194, CRC Press [doi] [abs]. M.E.J. Newman and R.G. Palmer, Modeling Extinction (Spring, 2003), Oxford University Press . LeBaron, B; Arthur, WB; Palmer, R, Time series properties of an artificial stock market, Journal of Economic Dynamics and Control, vol. 23 no. 9-10 (September, 1999), pp. 1487-1516, Elsevier BV [doi] [abs]. Palmer, RG; Adler, J, Ground states for large samples of two-dimensional Ising spin glasses, International Journal of Modern Physics C, vol. 10 no. 4 (January, 1999), pp. 667-675, World Scientific Pub Co Pte Lt [doi] [abs].